Evergreen content is just that: content that stays fresh for a long time after posting it. Now, it’s rare that content will last forever. Even posts that stay relevant in content eventually need small details updated. Regardless, the idea is that the content should be useful as long as possible, staying relevant as long as possible. If you have a non-technical audience, chances are the content you create today will still be good tomorrow. That’s what you want to shoot for, anyway. However, keep in mind that, while not everything has to be evergreen, you do want to focus on evergreen content for list building. That way, when you set up your funnels they will work for a long time without having to change them. Structuring things this way allows the work you do today to build and still pay off for you tomorrow. Lists You can develop any sort of list into evergreen content and use it to build your list. For example, let’s say you’re running a 30-Day challenge. You could share challenge per day, then link to all 30 Challenges in a single pdf as the freebie to download to get on the list. Top 10 List (or Top ANYnumber List) If you know “Top Anything” you can do the same thing as with lists. Both can be presented as blog posts and as additional add-on content to download. Even more, you can put it in different formats. It doesn’t have to be a PDF. It could be count down video, too. How much fun would that be? Tips Providing tips for doing anything that doesn’t usually change is a great evergreen content. Offer “10 Tips to Help Kids with Math Homework,” then provide a content upgrade with tips to helping with all school subjects. How to Tutorials – Writing a blog post about how to do anything is excellent evergreen content unless it has something to do with technology. The fact is that software and other technologies just change too fast to be evergreen content topics. One example: “How to Cook a Prepare a New Garden Bed for Spring Planting.” Write a post covering those steps, then link to a content upgrade with a video tutorial. Definitions – In each industry there are terms that the audience should know or needs to know. A downloadable glossary is a great way to introduce your audience to these term. Your opt-in presents the terms with a list of definitions provided through a freebie. Reviews – In most cases, product reviews stand in value and relevance for years. This is great, useful content on your website. Create a freebie that helps them use the product better if they purchase it or have a better understanding of it with a whitepaper or report of some kind attached to the review. The more your content is focused mostly on evergreen content instead of news and trending content, the faster you will build your list. You can then share news and trending content to your list. This is a much better place for that type of content anyway because it makes people happy that they joined your list if you’re on the cutting edge of your industry. 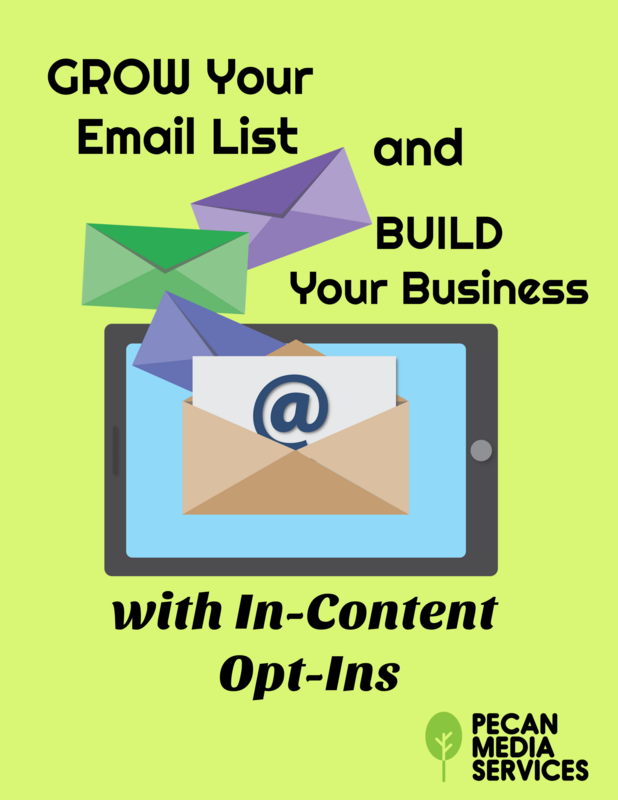 Want to get more effective with your list building? Get our comprehensive guide, absolutely free. Just click here or on the image.